This holster was made with the history of the county that we live in, Sioux County Iowa. The plains indians would travel up the rock and sioux rivers to fish the walleye and hunt the wild buffalo that roamed through this area. 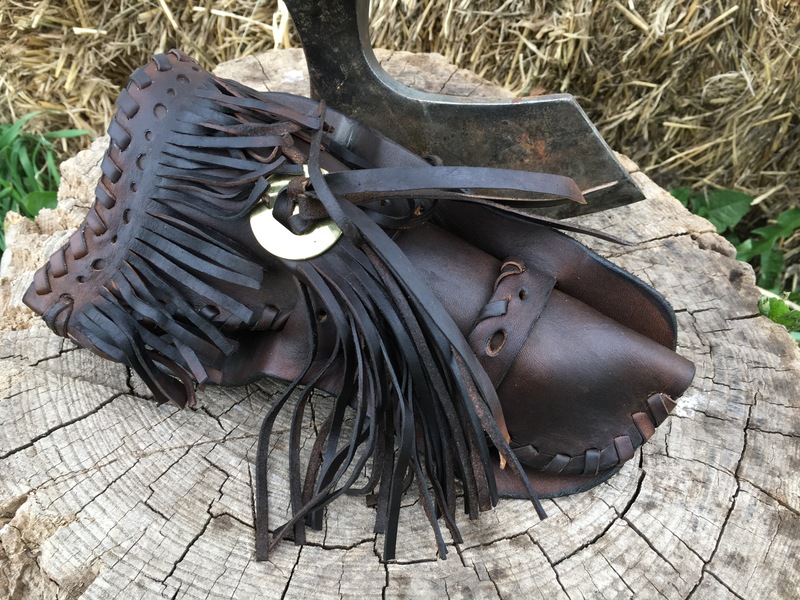 This holster is based from a single layer of ten oz leather that was laced together using the traditional methods from that particular time period. Embellished with a double loop, fringe, and a single concho.